KIITEE 2019 Admit Card has been Available now. KIITEE is known as KIIT Entrance Examination and it is the All India Entrance Examination conducted by Kalinga Institute of Industrial Technology, Bhubaneswar. KIITEE 2019 Online Slot Booking has been Started on 1st April 2019. Through this exam, candidates can get into various UG & PG courses which are conducted once a year. Through NEET score and NEET PG score candidates can get into MBBS, BDS, PG Medical & PG Dental. In this article details are provided of KIITEE 2019, containing Application Form, Eligibility Criteria, Exam Pattern, Admit Cards, Exam Dates, and Syllabus Etc. KIITEE 2019 Online Slot Booking has been Started on 1st April 2019. Click Here to Check Slot Booking Details. KIITEE 2019 Admit Card has been Available now. Click Here to Check Admit Card Details. KIITEE 2019 Online Application Form has been Extended till 10th April 2019. Click Here to Check Application Details. KIITEE 2019 Exam Dates are provided s candidates may not miss any of important events. Candidates can get here, the complete KIITEE 2019 exam dates. 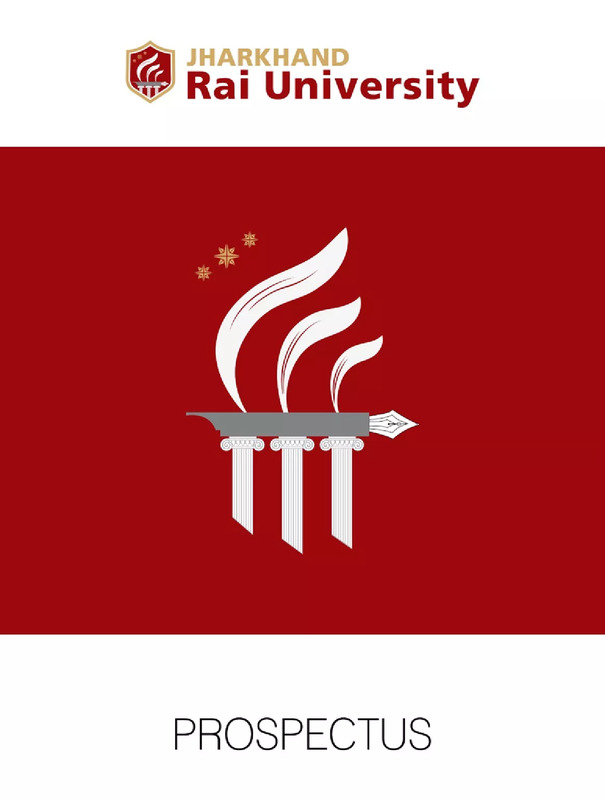 The university will be announced the KIITEE admit card 2019 has been Available on 12th April 2019. Candidates can download the admit cards through online mode on the official portal. No candidates will send admit cards individually by University. If in cases candidates will unable to download their admit card, they should write/contact to the KIIT. KIITEE 2019 Application form has been Available from 16th November 2018 and Closing of Application Form is 10th April 2019 (Extended). Submit the application before the due dates mentioned. Candidates must read the KIITEE 2019 information brochure to complete the application procedure. Candidates can apply KIITEE 2019 application form through online mode. KIITEE 2019 Online Application Form has been Started from 16th November 2018. Candidates can be Filled KIITEE 2019 Application Form till 10th April 2019 (Extended). Candidates have to fill all the details carefully because No correction can be done on a later stage. After filling all details candidates have to upload scanned the image of photograph, signature and the copy of class 10th mark sheet/passing certificate. by entering application number candidates will able to check their application status. NOTE: (For MBA Course) Cost: Rs. 1250/- You can pay online through Credit Cards, Debit Cards, Net Banking. Please keep your Passport size photograph ready before filling the form. Files must be less than 1 MB. Allowed file types: png gif jpg jpeg. Images must be between 400×400 and 2048×2048 pixels. Candidates are informed there is no application fee to be submitted for KIITEE application form. B.Tech, B.Tech (LE), Biotechnology-dual degree, B.Sc Nursing, B.A. LL.B./BBA.LL.B./B.SC.LL.B., BBA, BCA, B.Des (Fashion/Textile), Bachelor in Film and Televisions Production, B.Arch Master of Mass Communication, MCA, MCA (LE), M.Tech. M.Sc (Biotechnology/Applied Microbiology), M.Sc Nursing, MBA, MBA (RM), LL.M. Before applying, candidates must check the full eligibility criteria of KIITEE 2019. Read full criteria whether you are eligible to apply or not. Candidates should check eligibility criteria as per the course they have applied. B.Tech/B.Tech+ M.Tech (Dual Degree) Biotechnology Qualifying Exam: Passed 10+2 examination in 2017, 2018 or appearing in 2019 are eligible to apply. Minimum Marks: Must score at least 60% marks in Physics, Chemistry and Mathematics/ Biology/ Biotechnology taken together. B.Arch Qualifying Exam: 10+2 passed from a recognized board by securing 60% marks in aggregate with Mathematics subject. Score Card: Must have NATA scorecard. BBA Qualifying Exam: Passed 12th in any stream with Mathematics/Business/Mathematics/Economics/ Statistics as one of the subjects with at least 50% marks. BCA Qualifying Exam: Pass in 10+2 with Mathematics as one of the subjects by securing at least 50% marks. B.Des Qualifying Exam: Pass in 10+2 or equivalent examination from a recognized Central/State Board with 50% marks in aggregate. Age Limit: Should have born on or after 01.07.1998. B.A. LL.B./BBA.LL.B./B.SC.LL.B Qualifying Exam: 10+2 in any stream with minimum 45% marks. Candidates those applying for B.Sc LL.B. have to pass 10+2 in science stream with not less than 45% marks. Age Limit: Age should be 21 years as on 1st July 2019. M.Tech Qualifying Exam: B.E./B.Tech or its equivalent degree in any stream of engineering OR First class MCA or M.Sc in CS/IT from a recognized institution. Score Card: GATE qualified candidates can also apply. LL.M. Qualifying Exam: Applying candidate must be passed B.A.LLB/BBA LLB/B.Sc.LLB/B.L degree OR an equivalent degree with at least 55% aggregate marks. KIITEE 2019 Exam Exam will be held on 15th- 24th April 2019. The exam will be in the online mode computer-based test. Candidates have to complete paper within 180 minutes no extra time will be provided to any candidates. Mode: The exam will be the computer-based test. The medium of Test: Language of the questions will be in English. Marking Scheme:4 marks will be allotted to each correct response. Negative Marking:1 mark will be deducted for each wrong answer. Duration of Exam:180 minutes will be allotted for the complete test. For UG courses candidates have to prepare from the syllabus of the qualifying examination. From 12th class, syllabus candidates will be asked a question for B.Tech/B. Arch and for LL.M, the questions will come from the LL.B. syllabus. The Syllabus is different for different courses. Candidates can check more details through online mode from the university website. Through online mode, candidates can check their Result of KIITEE 2019. University will issue the KIITEE result 2019 will be Declare on 30th April 2019. To check result candidates will be needed to enter their application number. A Merit list will be prepared separately for each course on the bases of marks secured by the candidates in the entrance exam. After the declaration of result, KIITEE cut-off qualifying mark will be released by the University. KIITEE 2019 counseling will be started from 15th May 2019. After the declaration of result University will declare the complete schedule for counseling. As per the availability of seats in different courses cut-off rank will be issued on the official portal. Candidates score above the cutoff marks or equal to cut-off mars will be shortlisted for the counseling process. Candidates called for counseling must bring the original documents along with token fees to the counseling center. Demand Draft of Rs. 75,000/-which includes the counseling registration fees of Rs.10,000 (Non-Refundable) in favor of KIIT, payable at Bhubaneswar. If you have any other queries about KIITEE 2019, you can write your queries in the comment box given below.